It is voting season again in Switzerland. On the Sunday 28 February 2016 Swiss citizens get to vote on four proposals. The first is to decide whether to build a second Gotthard road tunnel or not. The current Gotthard road tunnel runs nearly 17km under around one kilometre of Alpine rock from Göschenen in the German-speaking canton of Uri to Airolo in the Italian-speaking canton of Ticino. Completed in 1980, it receives around 5 million cars and 900,000 trucks every year, making it the longest and busiest road tunnel under the Alps. Like all tunnels this one requires maintenance. To do this it will need to be closed. The Swiss government, along with other groups, want to build a second tunnel at an estimated cost of CHF 2.8 billion to take the traffic while the existing tunnel is being repaired. The government sees this as the best solution. An alternative proposal to temporarily move cars and trucks through the Alps by loading them onto trains during the closure is expected to cost between CHF 1.4 and 1.7 billion according to the Federal Council. The government thinks this is silly because everything will be dismantled at the end leaving nothing of value. It also points out that the same sum would need to be spent repeatedly every time the tunnel is maintained. They also argue that two tunnels will ensure uninterrupted traffic flow during maintenance and lead to better safety. Once completed each tunnel will have unidirectional traffic reducing the risk of collision. In 2001 a collision between two trucks killed eleven people. 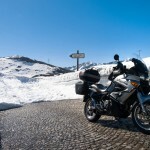 Since then there have been a further 10 deaths in 147 accidents according to the Swiss Federal Roads Office. Unfortunately for the government opposition groups managed to get enough signatures to launch a popular vote opposing construction of a second tunnel. The Alpine Initiative is one group firmly behind the “No” campaign. Those opposing the second tunnel fear increased Alpine traffic, traffic congestion elsewhere and higher pollution. The government has said only one lane of each of the two tunnels would be used, leaving the traffic level unchanged. Opposition groups are not convinced. They think sooner or later all four lanes will be filled with cars and trucks. They are also concerned this extra traffic would gum up traffic flows elsewhere in Switzerland. Dr. Marco Maurizio, who has worked as a pediatrician for 40 years in Mendrisio, Ticino, near the main motorway that feeds the existing tunnel says he has seen a steep rise in respiratory diseases such as asthma in children in the last 30 years. He thinks a second tunnel would be a catastrophe and is 100% convinced that the disease increase is a direct consequence of traffic, especially trucks using the Gotthard tunnel. 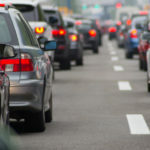 An article in the Guardian reports that the air quality in Chamonix improved dramatically between 1999 and 2002 while the Mont Blanc road tunnel was closed for repairs following a fire. Chamonix is sometimes one of the worst polluted regions in France. In addition, they think a second tunnel is a waste of CHF 3 billion. 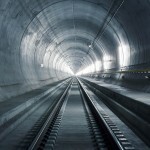 Switzerland has spent CHF 24 billion on rail tunnels and that these should be used for freight rather than moving more freight by road. Among these new train tunnels is the Gotthard base tunnel. Opening in June 2016 it will be 57 kilometres long, the longest in the world, longer than the Channel Tunnel and the Seikan Tunnel in Japan, which links the Japanese islands of Honshu and Hokaido. The Ceneri base tunnel is another important new rail tunnel. 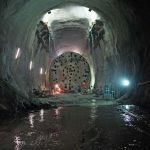 Due for completion in 2020, this nearly 40 kilometre tunnel will pass under Monte Ceneri in Ticino and will eventually be used by trains passing through the new Gotthard base tunnel. Unlike many Swiss tunnels there is no charge for using the Gotthard road tunnel. Both the Gotthard and San Bernardino tunnels are covered by the Swiss motorway vignette. Over the years there has been talk in Bern of introducing a toll.